Student and staff safety is a top priority in our district. We work together to put proactive steps in place to keep everyone safe on our campuses and partner with local law enforcement to develop plans and address concerns. We value the input of our community in sharing ideas to improve safety and alerting us to concerns that may need to be addressed. They talk with students and staff throughout the day, building relationships and creating open lines of communication. They have conducted interactive presentations with students to help them understand what bullying is and how to address it when it happens to them or when they see it happening to others. They collaborate with administrators when instances occur to help determine actions to take. They participate in and conduct staff development on safety. They are contributing membres of the District Safety Committee and Threat Assessment team. We conduct regular safety drills in our buildings to prepare staff and students to respond effectively in the case of an incident. After a safety drill we conduct debrief with administrators and law enforcement to improve practices. When you see something, say something! © 2019. 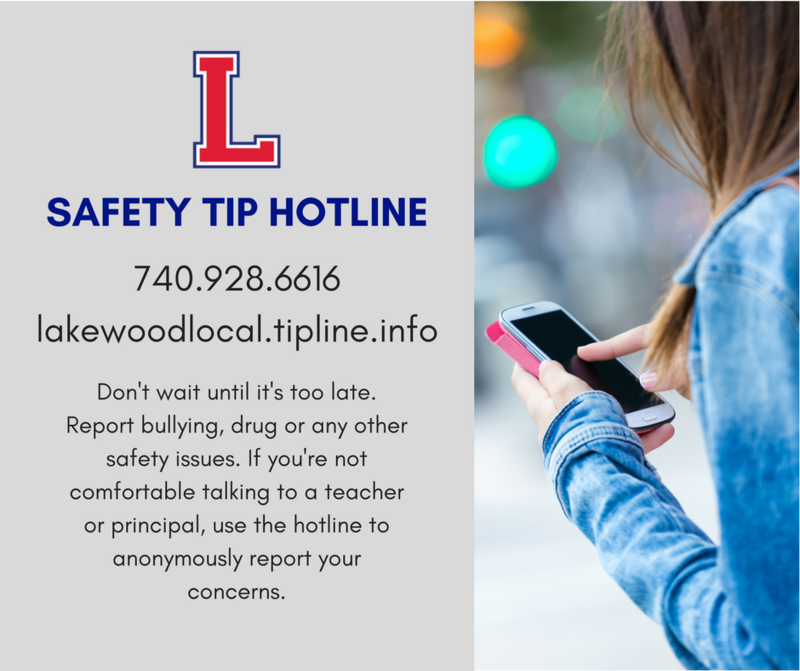 Lakewood Local Schools - All Rights Reserved.